A neat animation showing two iconic D&D Dragon varieties in flight. 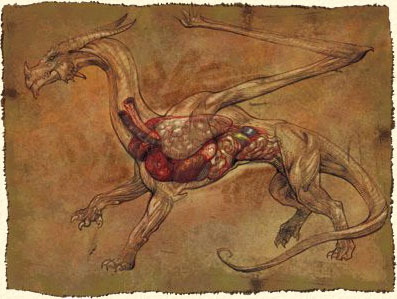 I found this to be an interesting piece as well, showing how tightly compact dragons are made to keep them fit for flight. *edited for source image found. I like the portrayal of lungs in it being massive.